"an impressive array of young male talent"
"comedy tinged with tragic moments"
"a vigorous slice of military life"
"Each scene is beautifully crafted"
Jonathan Lewis’ Our Boys is a hilarious but poignant drama set in the Queen Elizabeth Military Hospital in 1980s Woolwich, London. It's about five young soldiers who, between them, have suffered injuries in Northern Ireland and the Falklands. They bond over hospital TV and lonely hearts club ads as they wait to be discharged, and are beginning to form genuine friendships. Then a new risk arrives on the scene in the form of Potential Officer Menzies, who threatens to divide the ranks even though he has never seen active service. But can the other soldiers accept Menzies’ rule over them, or will they rebel against him and the army hierarchy he represents? 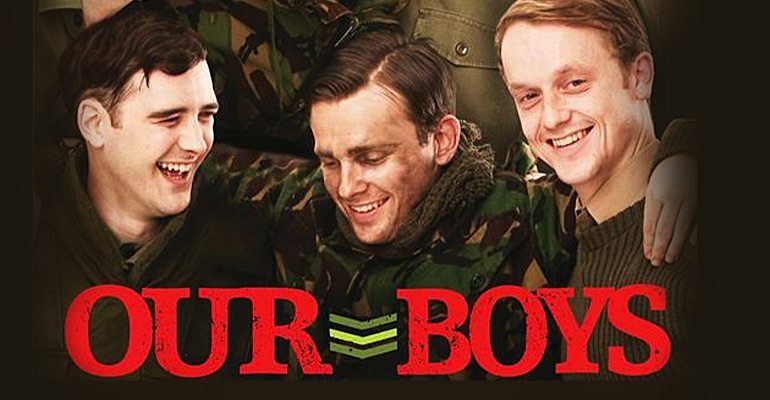 Our Boys remains as current as it was when it premiered in 1993, and questions the lasting affects of military service on young men. This production at the Duchess Theatre London stars Matthew Lewis, who played Neville Longbottom in the Harry Potter films, Laurence Fox, and Arthur Darvill.